After my September 2007 wedding, I left with two treasures — a handsome and charming husband, and a pair of oversized Gucci sunglasses that some unnamed guest left behind at the reception. I asked around to try to return them to their rightful owner (and even looked through photos to see if I could spot someone wearing them) but the search was fruitless, and the fact of the matter was that the sunglasses suited me very nicely. 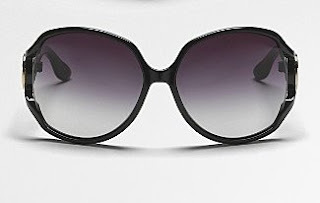 Unfortunately, the sunglass-loser didn't have the good sense to also lose the coordinating case, and the glasses are so big (all the better to flatter my big head), that I haven't been able to find a proper case to fit them. All of this is to say, that after a year and three quarters of banging around loose in my purse, those fellas are pretty scratched up. And as beautiful sunglass-worthy weather is upon us (at least in New York, finally), something must be done. Here is my quick-fix method for temporarily reducing the appearance of unsightly scratches on your sunglasses. 1. Make sure your lenses are plastic. This method won't work on scratched glass (sorry). 3. 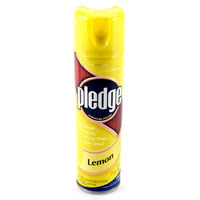 Spray Lemon Pledge or Endust (yeah, you heard me right) on the insides and outsides of your lenses. Rub into the scratch. Wipe of excess with same soft cloth. 4. You should be able to see a little more clearly, now.